Ayrton Senna was a true artist on the Formula 1 circuit in the late ’80s and early ’90s. We’re not auto racing fans, but Senna captured our imagination as he raced his way to three world championships and 41 wins before his shocking death in 1994 in a crash at the San Marino Grand Prix. 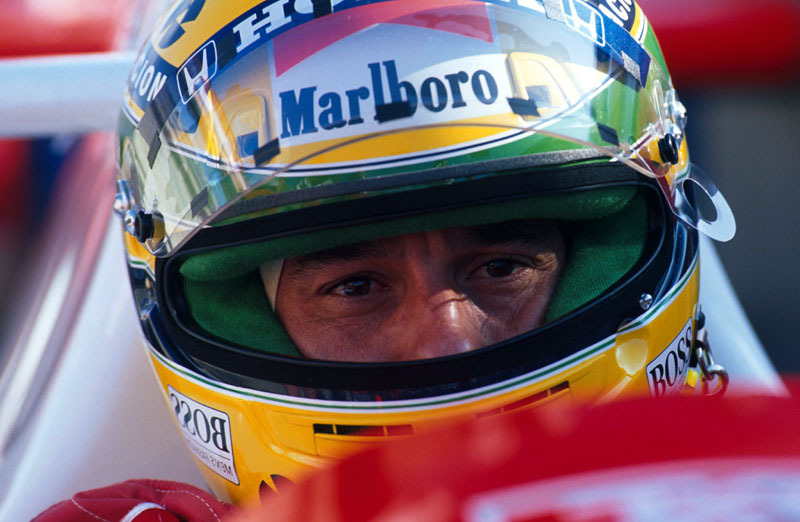 Senna’s rise to world champion, and his defining nine-year battle with rival driver Alain Prost, is the subject of a documentary, Senna, which looks fantastic. The rivalry – and that word doesn’t really explain the relationship between Senna and Prost – intensified during the two -year period that they were teammates with McClaren-Honda. Prost was already a two-time world champion when Senna joined the team and it quickly turned out that the garage and track were not big enough for the two of them. The competition between the two is what grabbed our attention. Both drivers were at the top of their games and pushed each other to the boundaries of their abilities. That’s what makes true rivalries such a fascinating aspect of sports. They can’t be one sided – think Browns-Steelers of the past decade – but rather you have to go into a game or race knowing that either side can win. Senna and Prost also had contrasting styles. Prost was a French master, known as “The Professor” for his technical, calculating style. Senna was more of an impressionist, reflecting the free-spirit, Samba style of his native Brazil. And while those labels were accurate, they also were somewhat limiting. Above all, Prost and Senna were champions that brought the best – and worst – out of each other. There’s little doubt that they were both better because they were contemporaries. While each would have still found success without the other, the intensity of the rivalry during the period when their careers overlapped pushed them both to a higher plane. Our fascination with Formula 1 ended on that May day in 1994 when the sport claimed Senna at the age of 34. Prost had retired after the 1993 season and, with Senna gone, it just wasn’t the same. Now, with the release of Senna, we have the opportunity to relive that exciting time once again.